This week's Excel optical illusion really bends my eyes! 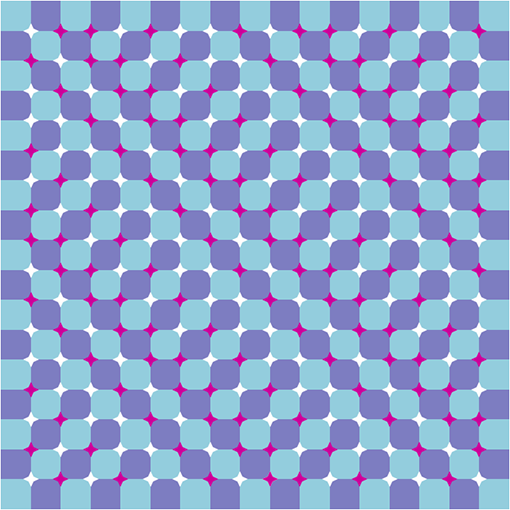 The illusion is caused by the pink and white stars. The attached workbook has check boxes that let you remove either of these and the illusion vanishes. Very interesting how such a strong illusion comes from such a simple chart. The point of the optical illusions series is to open our eyes with the goal of making better charts. Am I succeeding in your opinion? I'll have another next Friday? Blog looks really good mate, keep it up! Inspires me to keep building a following of my own. This page contains a single entry by Daniel Ferry published on March 19, 2010 5:28 PM. Eurovision 2009 was the previous entry in this blog. Excel, a Presentation Platform? is the next entry in this blog.